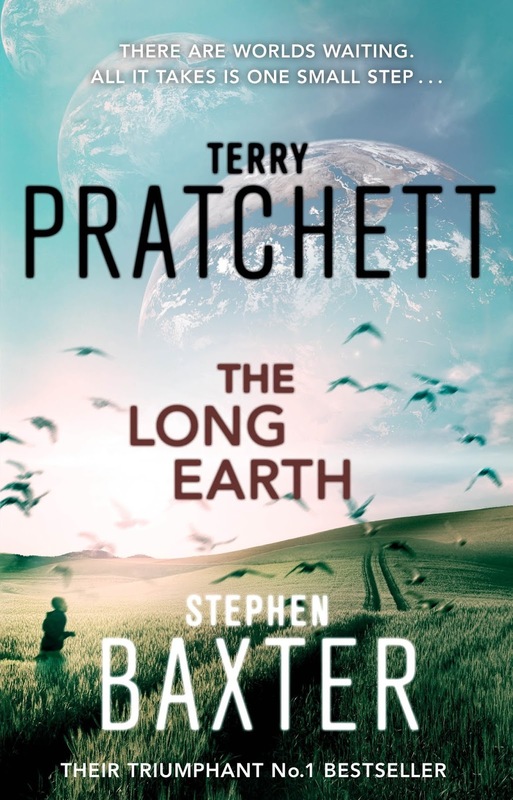 The Long Earth is the first novel collaborating the epic talents of Terry Pratchett and Stephen Baxter. It’s the year 2015 and the blueprints of a rather harmless looking machine, featuring cables, a box, a potato and an East, West and Off switch, is released onto the Internet. As children all over the world start creating these little machines, one by one they also start to disappear. Joshua is one of these numerous children and when he flips the switch on his ‘stepper’ machine, he is transported to another world. Around him there are children screaming, crying and being sick. Lost and ill, some are injured and none have any idea what has happened. Joshua is the one boy to keep his head and when he reverses his actions and realises he can get home, he bravely goes back to the strange world he had stepped into and helps the other children get back to their families. From that day on, Joshua is a legend and his name is firmly set in the history books with the day the Earth learnt to ‘step’. The day that humans realised that we weren’t living on the only planet Earth and that there was an unknown and possibly infinite number of Earths both to the East and West of us. Every evolutionary possibility is out there somewhere. So when Lopsang (a reincarnation of a Tibetan monk in what usually takes a robot form) heads a mission to discover the secrets of the other Earths, there is only one man he could ask to join him. Meanwhile, back on our original Earth, things are changing. The economy is collapsing as people just step away from their problems, a new spate of crimes are being committed and the minority of humans who cannot step at all, or ones decide stepping is evil, are taking things into their own hands. As you delve into Pratchett and Baxter’s exploration of alternate world theory, you can’t help but think of the monumental idea potential and one of the fabulous things about this novel is the way it conveys the immenseness of possibility. The character of Lobsang makes you fully aware, that whatever you could dream, could be a reality for one of the Earths. A planet without a moon, without humans, stuck in ice ages or destroyed completely, leaving a void in its place. The occasional sprinkling of Pratchett’s sarcastic humour is perfectly placed to make you warm to the characters and the brief chapters constantly pull you in to make you want to read ‘just one more’ before you put it down again. Whether you are a fan of Pratchett’s Discworld series or not, I would definitely encourage everyone to read The Long Earth. As for Baxter, I am afraid this is the first piece of work I have read from him but this definitely makes me want to read more. I loved this book but I warn you…when you finish it you’ll be gutted at having to wait for the next instalment. It certainly can’t come soon enough for me!